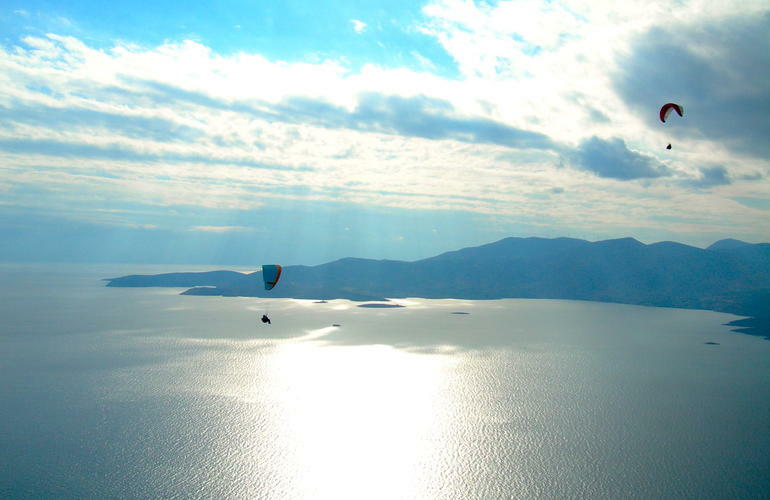 Have you always been dreaming of flying? 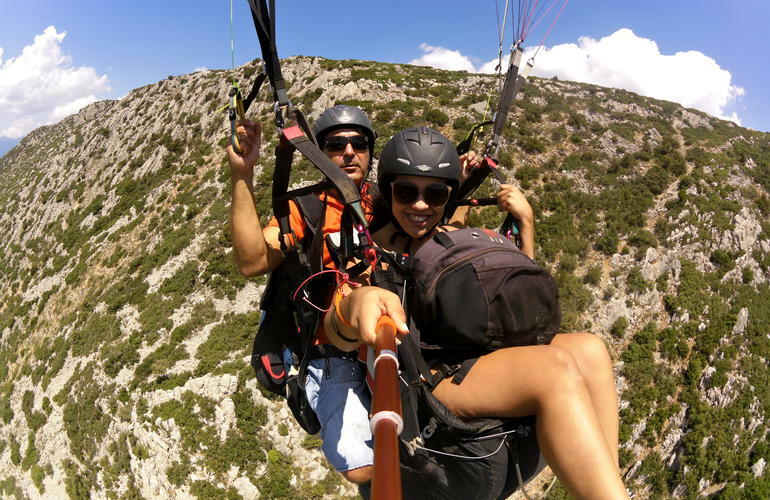 Are you ready to explore new, mystical places from high above? 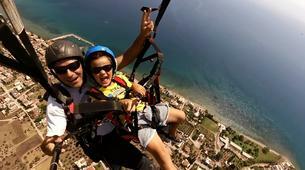 Then this is the right activity for you! 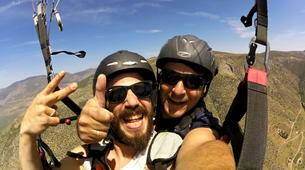 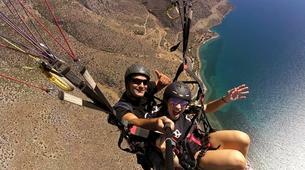 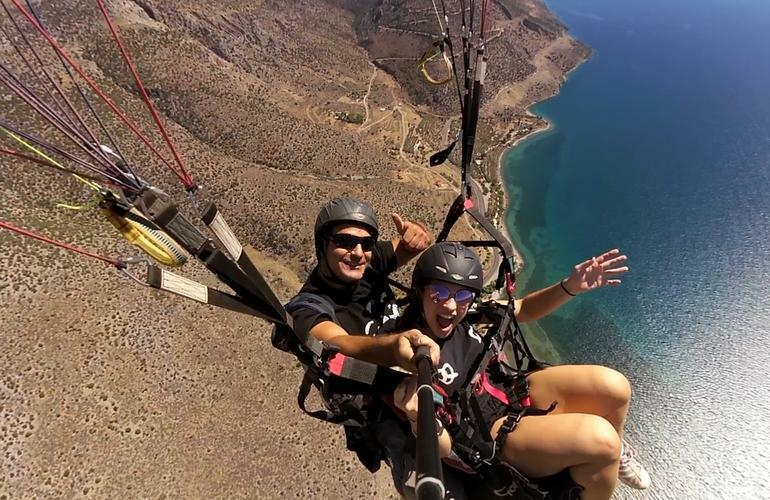 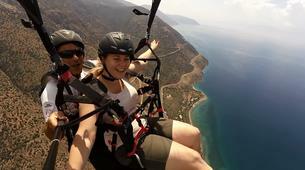 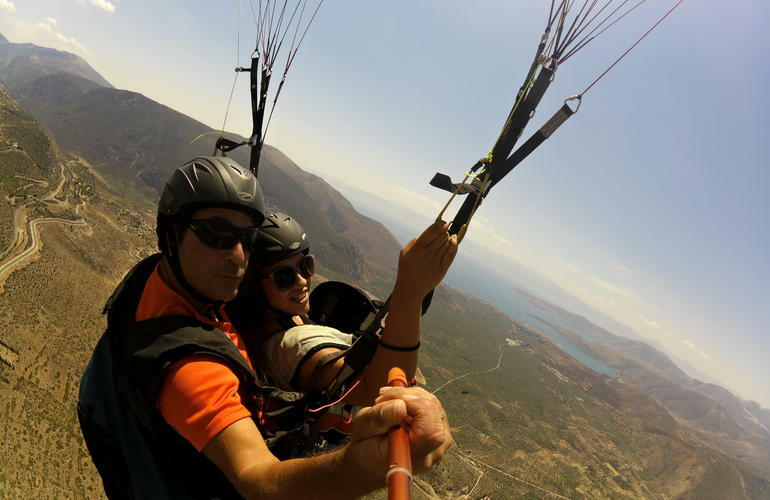 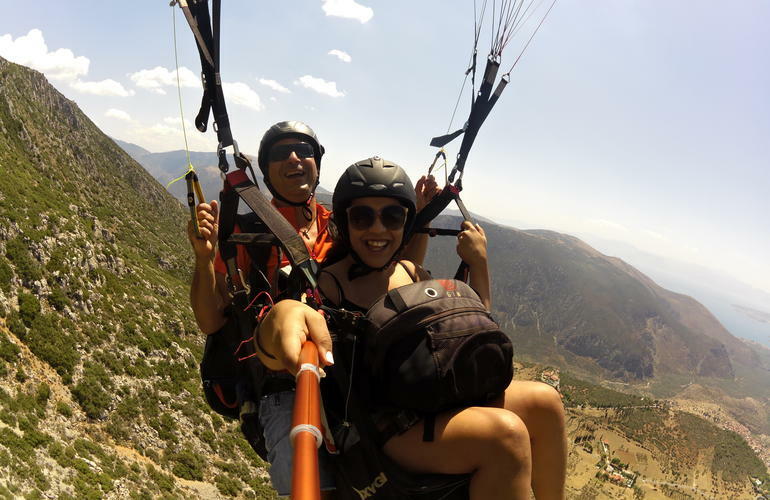 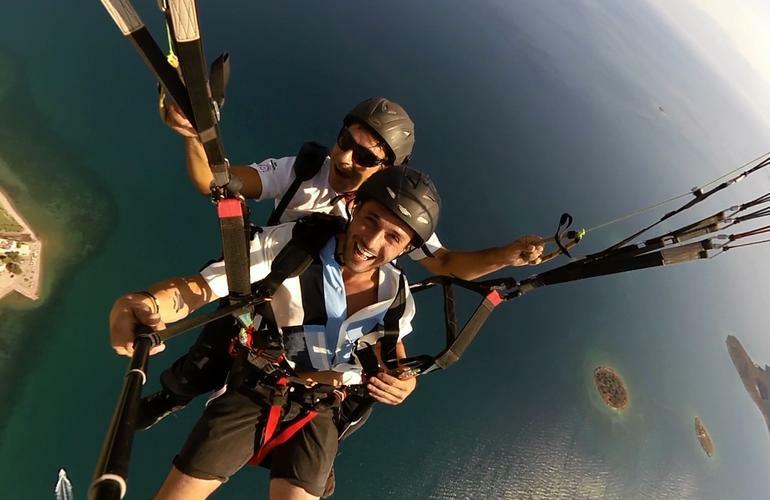 Join Giannis on a tandem paragliding activity and fly over the amazing gulf of Itea, near Parnassus and Deplhi. 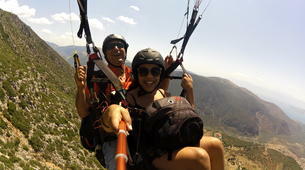 Enjoy the views to the sea and the rocky mountains while reaching easily an altitude of 2000m due to the thermal winds. 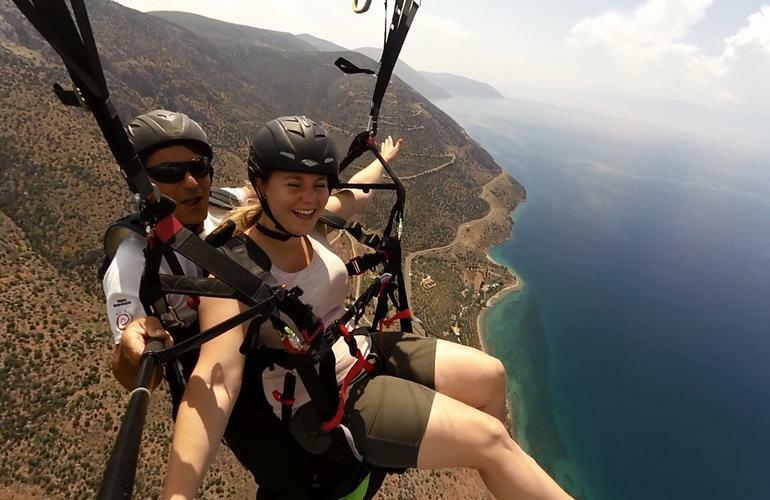 The adventure starts at the village of Agia Efthimia, about 20 minutes from Delphi and Itea. 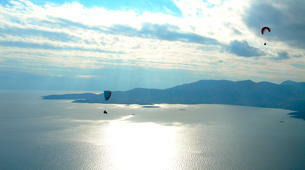 For 40 minutes you will be flying over the gulf of Itea. Thanks to the thermal winds you can easily get altitude of 2000 or even 2500m. 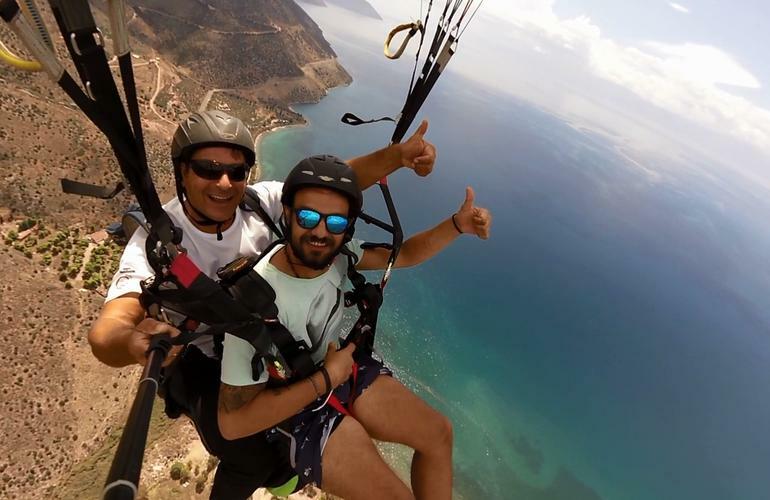 You will start your flight from 800m and start going up to enjoy the views to the sea, to the city of Itea and the rocky mountains of Parnassus. 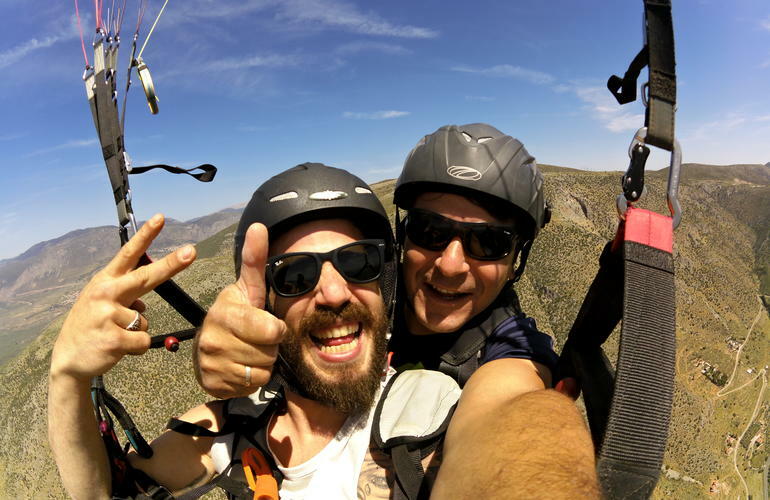 In the end you will be landing in a pre-fixed spot in the valley where a car will be waiting to pick you up and get you back to the village! 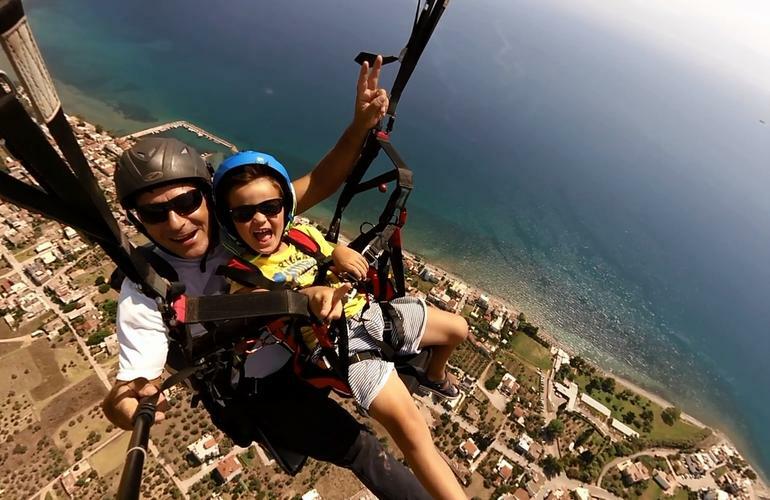 You will get your photos and videos and you are ready to share it with your friends! 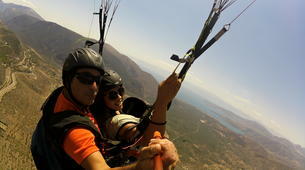 -Take off point at 1100m. 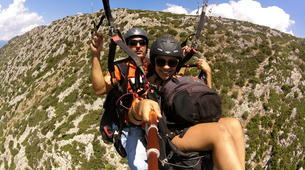 and you will reach heights of 2000m to 2500m.